WEDNESDAY: The deal is now official. 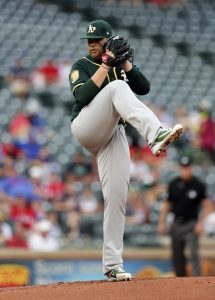 TUESDAY: Anderson and the A’s do indeed have an agreement, pending a physical that is slated to take place today, Slusser writes in a full column. ESPN’s Buster Olney tweets that if the medicals check out, Anderson will be guaranteed $1.5MM and can make another $1MM via incentives. MONDAY: The Athletics are nearing a contract with lefty Brett Anderson, per Susan Slusser of the San Francisco Chronicle (Twitter links). Anderson himself tweeted this evening (without divulging the team) that he’s preparing for a physical tomorrow, so that may be all that remains before the agreement is finalized. As usual, Anderson turned in underwhelming strikeout numbers, with just 5.3 per nine in 2018. He made up for that by drawing grounders on 55.6% of the balls opposing hitters put in play, his highest rate since his last full season of 2015, and by allowing a personal-low 1.5 walks per nine. Statcast actually felt Anderson was a bit unfortunate, as it valued him with a .338 wOBA-against but a .318 xwOBA-against. ERA estimators valued Anderson as a solid back-of-the-rotation performer (4.17 FIP, 3.91 xFIP, 4.13 SIERA). Wow. 80 innings of mid 4 ERA ball and he upgrades from a minor league deal to a major league one. I think he can be alright still, but that’s kind of odd. Given how many quality pitchers are NRIs in spring camp, yeah I agree that he would get a guaranteed contract. It’s not excessive, just mildly surprising. Wow, I really want a guy who can give me 5 ok innings at best, sign me up! Oakland’s bullpen isn’t quite what it was last year but it’s still a beast. They’ve played for multiple seasons with young and less talented starting pitchers than most organizations and it has worked out pretty ok. I have faith in the FO and let’s be honest how many prospects are coming back from TJ that are gonna start contributing soon why waste money on more established starters when you have 3-4 high quality arms ready to attack at a league minimum. No point in them leveraging the future for being ahead of there clock to compete. They have said numerous times there trying to add pieces of value for contention in 2020-21 is what they see as their window of contention. A major league deal?? Wow! His numbers were a mirage. Good in Oakland because of the park and atrocious everywhere else. Wasted money. Well, he’s signing in Oakland, so perhaps they’re hoping for good numbers again. Good thing he signed for…Oakland. He is probably the most fragile and clumsy pitcher I have ever seen. That combination makes him comically special. His ERA the last 3 years is 5.76. I’m not sure he knows how to pitch. If the A’s can turn this girly around it is a team of geniuses, and if it was a team of geniuses, they would have been much better in 2016 and 2017. But we’ll see. Alright “Mac daddy”. Anderson’s biggest question mark is health. 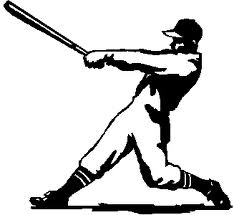 He relies on soft contact and ground balls. If he’s healthy he’ll be just fine as a back end starter. They have not upgraded, far from it. But the A’s have two pitchers and a catcher on their way which should help a great deal in the reasonably near future. Very true. For this season, Puk and cotton will be much needed reinforcement once deemed healthy. Luzardo could become a ROY candidate. Even though I would like the A’s to sign Keuchel at a bargain deal, the rotation is not as dire as some people might think. I’d have been tickled if they signed Henry Sosa to a one year deal. He was better than Merrill Kelly in the KBO over the last two years by ERA and FIP. Brett Anderson knows what’s up. Wants to play in a real stadium in front of the best fans in the game in the most beautiful city in the world. What was that Stones line about being unable to attain the full extent of your desires on a regular basis? Occasionally one obtains what’s necessary. Oh My!! Thanks for that bit of laughter! YES another correct pick on my FA contest!!! $1.5M aka “we can still cut him if Montas and Bassit are amazing in ST”. 2nd place in the West will come down to Oakland and the Angels…. Anderson goes on the DL when a mosquito flies near him. Anderson goes on the DL when he sees a dog that looks like something that is a product of Hell. They just need him to last until July….Puk and Cotton should be back then and Dunshee and Howard can be called up.